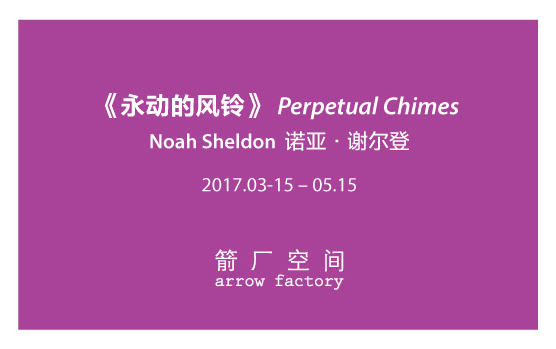 Arrow Factory is pleased to present Perpetual Chimes, a sculptural sound installation by artist and photographer Noah Sheldon. 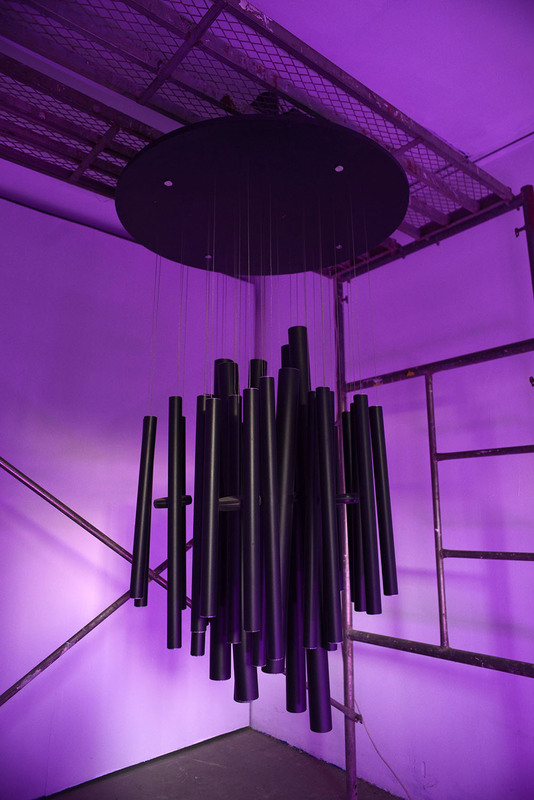 A cluster of metal wind chimes swinging at regular intervals generates a wave of harmonics that crest and ebb to its own internal rhythm. Using a carefully timed spinning disc to produce gentle centrifugal forces, the hanging chimes are lulled into trance-inducing sync. 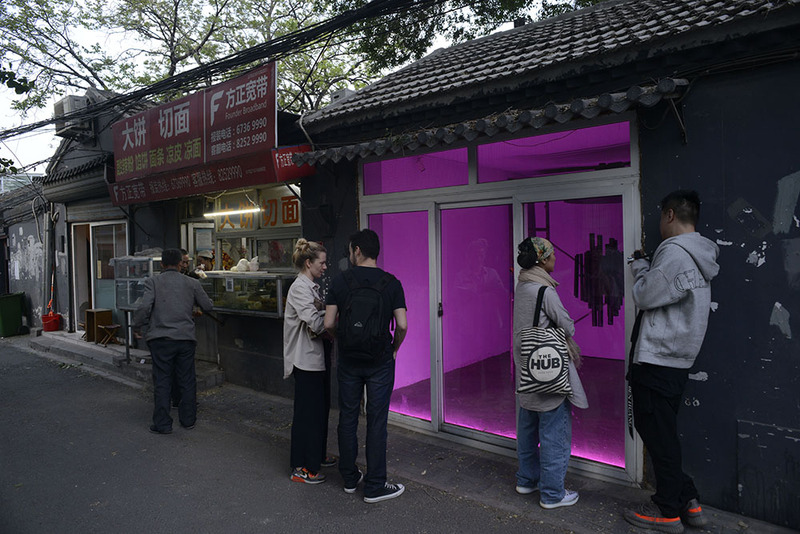 Enveloped in a pink glow, the work conjures a past dream and altered states of consciousness. The color pink itself is a visual enigma — an extra-spectral hue whose wavelength does not exist in the normal ROYGBIV light spectrum. Invoking Arrow Factory’s proximity to both Lama and Confucius Temples, Perpetual Chimes makes palpable the visual and aural frequencies of an otherworldly reverie. Noah Sheldon (b.1975, Fort Wayne, Indiana, USA) studied at the New England Conservatory of Music, Sarah Lawrence College and completed his MFA at Columbia University in New York. Sheldon’s artwork has been exhibited at ICA, MoMA PS1, D'amelio Terras, and Cherry and Martin Gallery. His photographs have appeared in Blind Spot (magazine), Dwell, Details, Inc., Bon Appetite, New York Magazine, Architectural Record, Rolling Stone, and Tokion, among many others. Sheldon’s photostream can be viewed at fareastbroadway.com. He is based in Shanghai and New York.